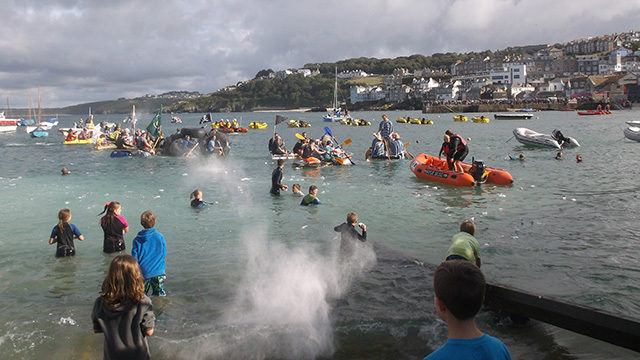 St Ives Harbour Raft Race is a fun event - with teams representing various local businesses and community groups. Also - great fun to watch - from the The Wharf, Smeaton's Pier or Harbour Beach. For teams wanting to enter - forms are available from Cafe Art on Royal Square. Cost is £20.00 per team - all proceeds go to St Ives Pilot Gig Club.